Sasamans Society is seeking a dynamic and motivated individual for position of Aboriginal Housing Navigator (AHN). 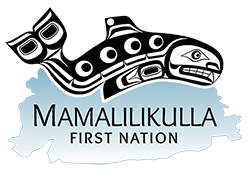 This F/T position will be based out of Campbell River, B.C., 5 days (35 hrs) per week. The purpose of the AHN program is to assist Indigenous peoples (families, couples, individuals, including youth and Elders) find suitable and affordable housing. The AHN will assist those in understanding tenancy rights & responsibilities when seeking rental accommodations and throughout tenancy. Persons aided by this service may include individuals & families involved with the Ministry of Social Development and Poverty Reduction (MSDPR) and/or Ministry of Children and Family Development (MCFD); Single parents with children leaving violent relationships; Youth aging out of government care and individuals who may be couch surfing, residing in shelters/hotels or on the street.  Attend community housing coalition meetings and initiatives that are committed to poverty reduction and community housing needs.  Applicant must successfully undergo a Criminal Record Check. Previous Previous post: EXCITING NEWS! Green Jobs Funding for Indigenous Youth!